LIFESTYLE, aesthetics, taste, savoir-faire, and more. Pascaline brings more than 20 years of experience in the European fashion industry to Pascaline Paris. She opened her first clothing store in Paris at the age of 26, selling luxury designer brands. 10 years later she opened a second retail store curating high-end womens and kids shoes on Rue Des Martyrs - the trendiest shopping destination in Paris - followed by John&Lea, a luxury mens shoe store on that very same street. 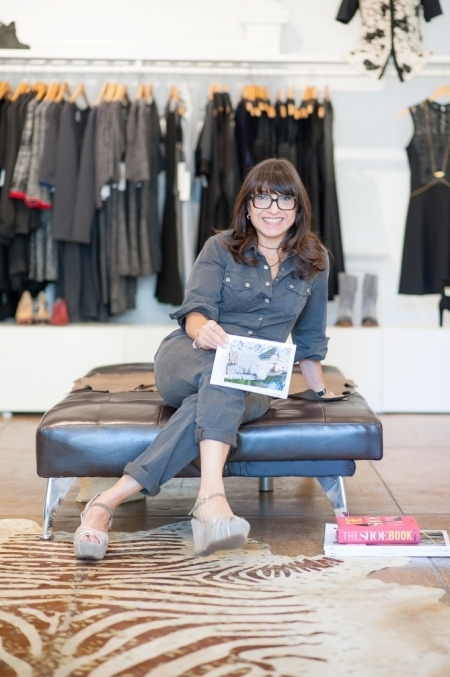 Now owner of one of the only Parisian independent fashion retailers in San Francisco, she promises high quality Parisian style to clients from all over the country. Once a stylist for Elle Magazine France, she now also offers fashion styling consultation services to her clientele. Opened in 2014, Pascaline Paris is the exclusive US agent for Atelier Voisin, who produces the very best of handmade casual and elegant shoes for men and women. In 2012, Pascaline Paris was selected to be an exhibitor at New York's Designers & Agents trade show representing Atelier Voisin. Pascaline Paris has expanded to carry the newest purses and clothing from Petite Medigote and leather jackets for both men and women from Serge Pariente. To mix the casual chic of Paris with local needs, Pascaline Paris has a wide range of jewelry and women's fashion from both French and local designers. Pascaline Paris welcomed its very own basic line - The Pascaline Paris Concept Collection - in January of 2016. A blend of essentials and the latest Parisian trends to enhance the personal unique style of every woman. Pascaline Paris continues to design and add new limited edition styles to the collection every season, using the finest quality fabrics from Europe.